I love to travel to the Russian city of Волгоград (Volgograd). Many summer days each year are spent at our family dacha there and for a writer who loves history, Volgograd is a famous city not just because of the heroism of it’s people, but also because its a city that separates the winners from the losers. As a regional capitol, Volgograd is the administrative center of the Volgograd Oblast (region). 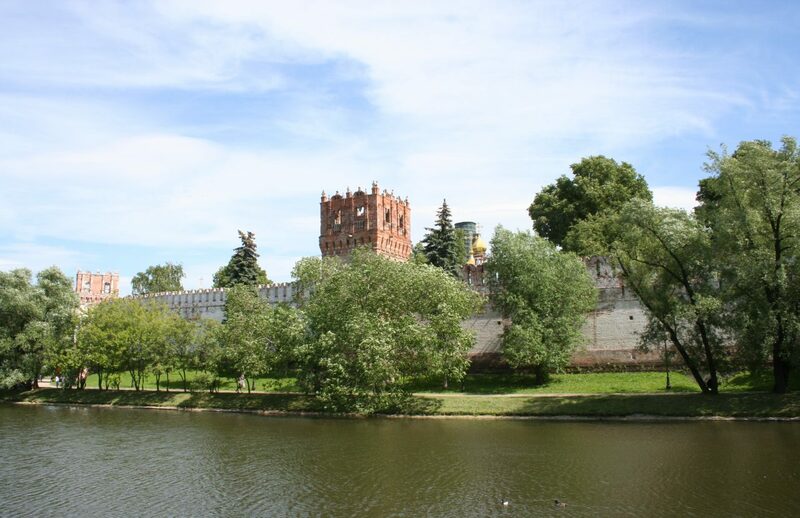 It had a rich history when known as Tsaritsyn but fell into very unfortunate days during the war. Volgograd sits off the banks of the large and important Russian river Volgo ([b]Волго[/b] which is pronounced as “VOL-gah”). The battle of Stalingrad, the city’s name during the war, was a due to a combination of blunders and should have never happened. Adolf Hitler and Iosif Vissarionovich Dzhugashvili (known as “[b]Josef Stalin[/b]” a code name for Lenin’s enforcer, or “man of steel”) were the two individuals ultimately responsible for this terrible carnage. When the German Sixth Army was flanking the Volga River, Stalin didn’t think the city was worth defending at first. He was going to allow the city to fall into German hands as he felt Moscow, Leningrad and the oil fields in the Soviet far east were higher defensive priorities. However the brilliant Russian General named Georgi Zhukov felt differently. Marshall Zhukov saw the city’s key location on the Volgo river, a transportation link for Russia, as extremely important and for days argued with Stalin, and Stalin’s confidant Lavrenti Beria, that Stalingrad was worth defending. Finally he used a bit of reverse psychology and reminded Stalin that Hitler would control “[b]Stalin[/b]grad” if nothing was done to stop the Sixth Army. Stalin eventually conceded and the Soviet high command begin to plan the defense of the city. History teaches us that a very similar type argument, although in reverse, was going on inside the German camp. German Field-Marshal Erich von Manstein had hoped to convince Hitler that Volgograd, while an important future target, paled in comparison to the rich oil fields in the East. The German Army needed fuel and von Manstein wanted the Sixth Army to seize control of the river traffic before continuing it’s march East. But Hitler hated Stalin and instead chose to overrule his commanders, naming Friedrich Paulus as General of the Sixth Army with orders to take Stalingrad. Stalin’s indecision cost Russia dearly. During Stalin’s waffling General Paulas’s 250,000 man army ran out of gas twice on their final march toward the city, sitting idle for days at a stretch waiting for fuel, and still beat the Russian Army to Stalingrad (just an 18 hour train ride from Moscow). Once the battle began the fighting turned deadly and for months control of the city raged back and forth between the two sides. It was the single most deadly battle of the Great Patriotic War. And the second longest, surpassed only by the 900 day siege of Leningrad. This was not just a battle of soldiers, but like the Leningrad siege, the battle for Stalingrad was fought by women, children and elderly babuskhas. It was a battle of starvation for both sides. In the end the battle was won by Russian heroes far from the comforts of Moscow. The battle was won by the factory workers who continued to roll out Russian tanks while being fired on from less than 100 meters away and by crack Russian snipers, many of them female and often on suicide missions, who picked off key German officers month after month. It was won by the rats and mice who bit off toes of sleeping German soldiers and fed on the bodies of dead German horses, spreading disease like wildfire. It was won by Russian children who became message runners, darting back and forth between buildings to carry communications between commanders and units. When caught by Germans the children were executed. It was won by hardnosed military thinkers like Marshall Zhukov who succeeded despite being second-guessed by Stalin and Beria even after the campaign had begun. It was won by the brutal Russian winter, unforgiving to foreign generals long before Paulas. Even great commanders like Napoleon could not beat the brutality of a Russian winter in battle. In the end it was won by Zhukov’s ticking clock, broadcast over loudspeakers the final weeks of the battle, a round the clock reminder that time was running out and there was no more food or ammunition for the German Army. In total it would be fair to assign the victory to the hardy and brave Russian people who won the battle for Stalingrad. Every such battle has a loser too.It was lost by the German high command who decided it too risky to fly in reinforcements or food supplies, leaving the Sixth Army to starve. Unlike the Red Army, decimated of leadership by Stalin’s purges, Germany had plenty of brilliant commanders but lost because of shoddy national leadership. On the other hand Russia too had shoddy national leadership, but won because brave men stepped into the gap and of desperation made themselves into the role of brilliant commanders for the sake of their Motherland, despite the country’s leadership.Such is the story of winners and losers in the history of our beloved Volgograd. A memorial complex commemorating the battle, dominated by an immense allegorical sculpture of Mother Russia, was erected on the Mamayev Kurgan, (Мамаев Курган) a hill that saw some of the most intense fighting during the battle. After the war, the Soviet authorities commissioned the enormous Mamayev Kurgan memorial complex. Vasily Chuikov, who led Soviet forces at Stalingrad, lies buried at Mamayev Kurgan, the first Marshal of the Soviet Union to be buried outside Moscow. The monumental memorial was constructed between 1959 and 1967 and is crowned by a huge allegorical statue of the Motherland on the top of the hill. The monument, designed by Yevgeny Vuchetich, has the full name (Родина-мать зовёт!) “The Motherland Calls!” At the time of its installation in 1967 the statue of The Motherland Calls formed the largest free-standing sculpture in the world. Today rising ground water levels endanger the monument which is sinking about 8 inches annually. The Panorama museum, which is located alongside the Volga river, contains artifacts from World War II. These include a panoramic painting of the battlefield from the location of the monument “Mamayev Kurgan.” Here a rifle of the famous sniper Vasily Zaytsev, can also be found. In 1961, the city’s name was changed to Volgograd (“Volga City”) as part of Nikita Khrushchev‘s programme of de-Stalinization. Allied Contributions to winning the war. This story was very enlightening and showing the tenacity and commitment of those who grimly held on, finally to triumph and save not only their city, but their Motherland. Thank you. I am constantly searching for and trying to learn more about Russian history and must add here, the true Russian history, not western interpretations of it, which is often biased and incorrect, to put it politely. I am rather ashamed to confess that I mixed up The Battle for Stalingrad with the Siege of Leningrad, which I now understand to be completely different events altogether, also the period in which they happened. I will be visiting your website many more times to explore all the other very interesting material available here, right down to Russian Cuisine.